And now available for iOS! I believe the type of user that would benefit from this app is very broad. The main features of this app are to-do lists and shopping lists, two things that we can all make use of in some capacity to make our lives easier or more efficient. 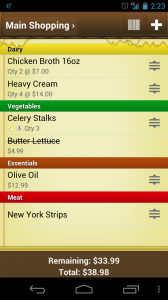 Using your Android device, iPhone or desktop computer, Out of Milk gives us all the ability to create custom shopping or to-do lists with ease! When adding an item to one of your shopping lists, you can add details such as the quantity, price, or description of the item as well as categorize it within a list. To-do list items can be customized with reminders and notes. I love that lists can be shared with others so that all people impacted by the list have access to the latest version everywhere they go. This is especially useful when collaborating with another person in your household on the grocery list! Are there any improvements that could be made to Out of Milk? 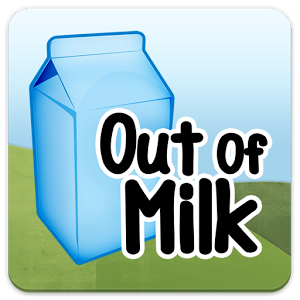 The one improvement for Out of Milk that comes to mind is fairly minor in the grand scheme of the app. There are times when you drag an item to change it’s order in the list and the change doesn’t seem to “stick” causing the item to move back to it’s original place. This doesn’t happen consistently though and trying another quick drag and drop to change its order usually does the trick. Coralie Wheler is a Project Manager at Push Interactions. In her time spent in the software and web development industry, she has worn many hats ranging from programming, design and client-facing roles. Her favorite things about working in this industry are: the constant evolution in technology and the resulting opportunity to learn new things; as well as the satisfaction that comes from of being a part of a project's creation.